Amazon's Choice for "roman polanski"
First saw this on late night tv in the early early 70's at the age of maybe 8 with my grandmother. I've always been a night owl and a horror movie fan and my grandmother...being 1 of the 2 most awesome grandmothers anyone could ask for...indulged me!! So not only is this a great mix of horror and comedy (my other love) but it brings back great memories of my Nan and I know she's probably sitting on the couch, trying not to fall asleep, watching right along with me in spirit!! 5.0 out of 5 starsA Bite in the Neck is Just as Good as a Laugh From the Tummy! Director Roman Polanski's masterfully brilliant, "the Fearless Vampire Killers," (1966) is a loving tribute to earlier Hammer Studios horror films, ala', "The Horror of Dracula," it's sequels, plus a multitude of other Vampire films the studio released. "The Fearless Vampire Killers" is in my opinion, the first modern day horror/comedy, or should I say, comedy/horror? Sure, you had earlier films like "Abbott & Costello Meet Frankenstein," "Ghost Breakers," "the Old Dark House (both versions)," even "the Munsters" & " The Adams Family" on TV. These films were geared more towards a younger audience, both in their horror & comedy, where" the Fearless Vampires Killers" is a much more adult & sophisticated in it's comedy & horror, but that is not to say it can't appeal to most age groups today in this environment. "The Fearless Vampire Killers" is about the bumbling adventure of professor Abronsius (Jack MacGowran of, "The Exorcist" - "There's a alien pubic hair in my gin.") & his assistant, Alfred, played by director Roman Polanski, looking for Vampires in Transylvania. Professor Abronsius is a expert on the bat, & has wrote a paper on the existence of Vampires, but is the laughingstock of his peers, so off he & Alfred go to Transylvania to prove the existence of Vampires & exterminate their plague. These two are so hilariously inept, that they make Abbott & Costello look like Batman & Robin! The movie starts out with a sleigh ride in the snowy forested mountains of Transylvania, with wild dogs chasing them. Alfred beats them off, while professor Abronsius sleeps, or at least we think he is sleeping, but when they get to their destination, a boarding house inn, the professor is frozen solid, something that happens quite easily to him. Once thawed out at the boarding house, they find garlic hung all over, as the professor smiles & points at all the cloves hung up & asks about the garlic, but to no avail, & our story starts. "The Fearless Vampire Killers" is just filled with one hilarious scene after another. Especially funny is the scene stealing, Shagal, the innkeeper, played by Alfie Bass! When Shagal isn't ogling his female maid, Magda, or sneaking in to her room only to be rejected by her & hunted down by his 400 pound wife, Rebecca, he is kicking his beautiful daughter Sarah (Sharon Tate) out of the bath tub, as she takes two or three baths a day! Sarah taking her ritual bath is attacked & kidnapped by head Vampire, Count von Krolock, played with great tongue in fang by Ferdy Mayne. She's whisked off to the Counts Castle. 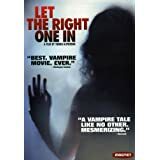 Shagal goes out to rescue her, but is himself turned in to a Vampire, a Jewish Vampire, which leads to one of the funniest scenes in the movie, as Shagal goes up to his maids room, Magda, to bite her & she pulls out a cross, "Oiee, oiee! 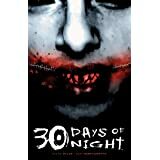 You got the wrong Vampire," Shagal giggles & feigns off the cross with a gesture of his hands. All this eventual leads our dynamic duo, professor Abronsius & Alfred to the Counts castle to kill the Count & save Sarah. Here Alfred meets up with the Count's son, Herbert von Krolock, who takes a shine to Alfred. Yes, the first gay Vampire in movies! Alfred does not know if he is more horrified that the Counts son is a Vampire, or gay, that wants to put the bite on him, literally, LOL! There is a hilarious chase scene between Herbert & Alfred, that just has to be seen to believe! Later, Count von Krolock describes his son as," a sensitive youth," & as I said earlier, one hilarious scene after the other ensues! But, "The Fearless Vampire Killers" does have it's share of down right eerie scenes & a soundtrack that is truly eerie, & in turn, funny at all the right times. A soundtrack that is as original as the movie, & one that is memorable! The film would only work two thirds as well with out it. 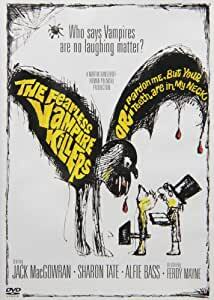 True, "The Fearless Vampire Killers" could be construed as a comedy with sprinkles of horror, but the two work so seamlessly together, that the film is a part of both genres, as a whole, & truly the first of it's kind! Many films have copied it, followed it, but few have matched it, & none have surpassed it. "The Fearless Vampire Killers" is just a master work of acting, script, plot, & direction. All the cast members are perfectly cast. It's cinematography truly amazing! This is a film that is beautiful to watch! It's sets, magnificent! It's setting, lonely, eerie, cold, & beautiful! This film begs a top notch transfer to Blu-ray! "The Fearless Vampire Killers winks at you, as it bites your neck, but you don't mind. If anything, it will be your tummy that hurts from laughter, & not your neck when you watch this film! One of my all time favorites. So funny, such wonderful characters, including Polanski himself. So colorful, such fitting original music — downright enchanting. And sadly, though, this is the film where Polanski met Sharon Tate. You can see why he fell for her. There are only two bad bad things relating to the film: its stupid secondary title, Pardon Me my … and the trailer is the worst piece of garbage I've seen in a long time, but it helps one appreciate Polanski's comic genius. This movie is absolutely ridiculous. I didn’t expect much on account it is nowhere near the quality of newer vamp flicks, but it was just beyond STUPID. 5.0 out of 5 starsA really good and funny movie. I have never seen this movie even though I was and am still a fan of Sharon Tate which is surprising that I never got around to viewing it until now. I really enjoyed it. Roman did a good job with it and I think it is a gem. I totally enjoyed it. Such a shame and waste of losing a talent like Tate so young. Who knows what heights she could have gone on to but thanks to those evil Manson druggie killers, we will never know. There is neither horror nor more than the slightest degree of suspense common to comedy vampire movies. Roman Polanski does get to show his talent both as actor and Director in this satire on the subject. A talented cast makes the most of the script which is more chuckle-full than laugh out loud. It is much in the tradition of Bob Hopes two efforts with the wonderful Paulette Goddard save that the ghosts/vampires/zombies are real, movie-real. that is. At the current Amazon Prime price for the DVD it will provide a pleasant though not WOW couple of hours ( and, similarly, for other low cost methods for watching it). I enjoyed it and recommend it to those in the general audience. The reaction of devotees of the horror genre I cannot predict. This is a great movie. The music alone is worth my paying the price of admission. The cinematographer was Douglas Slocombe, who eventually goes on to do the first three Indiana Jones movies, and the look of this film is somewhat along the lines of a Hammer film, but is richer in detail -- more than likely aided by a production design that will blow your mind. No... it's not the funniest of movies. No... it's not the best vampire movie. But... you know what? It's pretty darned funny. And how many really good "classic vampire" movies can you name? If I were in a debate, okay... maybe "objectively" I'd give it four stars. But, whatever... I love this movie.